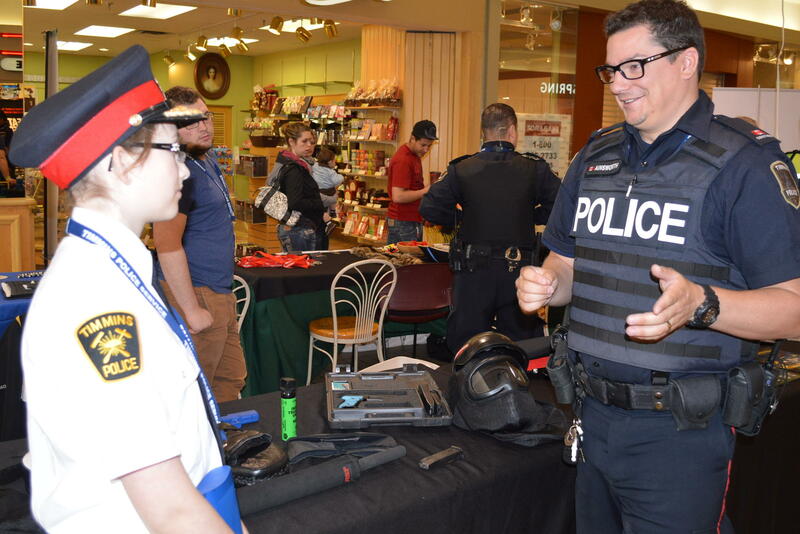 The Community services section of the Timmins Police Service provides services and develops new programs for students from Grades 1 – 12. The section also strives to work with community partners to develop programs that will enhance the delivery of public safety messages within our community. Bullying – elementary level – educates children to be aware of bullying and the strategies for dealing with it. Bullying mediation – secondary level – provide mediation and intervention to students and their families at the request of the school. Drinking & driving and Fatal Vision – secondary level – students are brought face to face with the real life consequences of drinking and driving. Drug awareness – secondary and post-secondary level – program to educate persons on current drugs and the dangers of them. 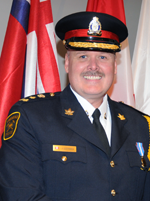 Abuse of older adults – seniors – presentations to seniors that focus on safety, abuse and fraud. Halloween safety – safety education during Halloween including tips on costumes, face masks, stranger awareness, the dangers of vehicles and ensuring that all treats are scrutinized. Bike Road-e-o – elementary level – educates students on the rules of the road, bicycle maintenance, safety, accident prevention and helmet safety. Partnership with the local health unit. Cyber Risks – The exponential growth of electronic and computer based communication and information sharing during the last decade changed individuals’ social interactions, learning strategies, and choice of entertainment. More particularly, the internet has created a whole new world of risks for young people. The Timmins Police Service was proud to introduce a new program that empowers our youth while surfing the web. 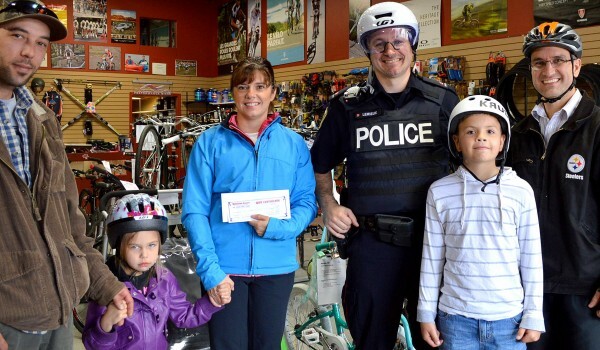 Helmets On – When officers are on patrol they look for the youth of our city who are both in compliance and also non-compliance with the bicycle helmet laws. The youth who are abiding by the law will be given ballots to win prizes as well as a treat for each child. This initiative would not be possible without the partnerships with the Porcupine Health Unit, Seizure and Brain Injury Centre, Neo Laser Tag and Northern Sports. Earn-A-Bike – Working hard and helping out pays off. That’s how it was for several Timmins youngsters who were recognized in 2013-2014. This was a joint project involving the Timmins Police Service and Tim Hortons. The program rewards children who do exceptionally hard work in school as well as taking part in an organized clean up of walking and cycling trails in the city. Police Week – Police Week began in Canada in 1970 as a way to connect with communities and increase awareness about the services that police provide. Every year, Community Services sets up an information booth at the Timmins Square. Visitors receive information on all aspects of policing in our city. 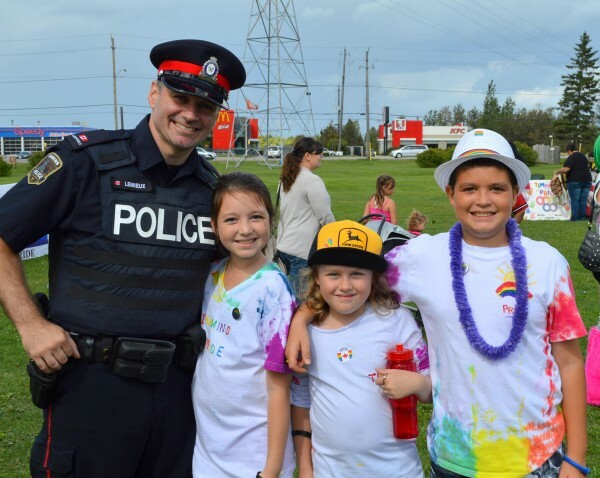 Pride Week – This year, the Community Services section took part in the first ever Pride Week in Timmins. Career fairs – every year, Community Services section does several presentations at local High Schools to students that are interested in a career in policing. Touch-A-Truck – A partnership with the Timmins Public Library, where vehicles from our community are on display for youth in our community. The youth also receive information about policing. Keepin it R.E.A.L (Refuse, Explain, Avoid, Leave) – keepin’ it REAL is an effective, multicultural middle school drug prevention program that has been shown to reduce alcohol, marijuana, and tobacco use. Keepin’ it REAL teaches youth to think critically and communicate effectively. The lessons cover risk assessment, decision making, where to go for support, and communication skills such as conflict resolution and drug refusal. 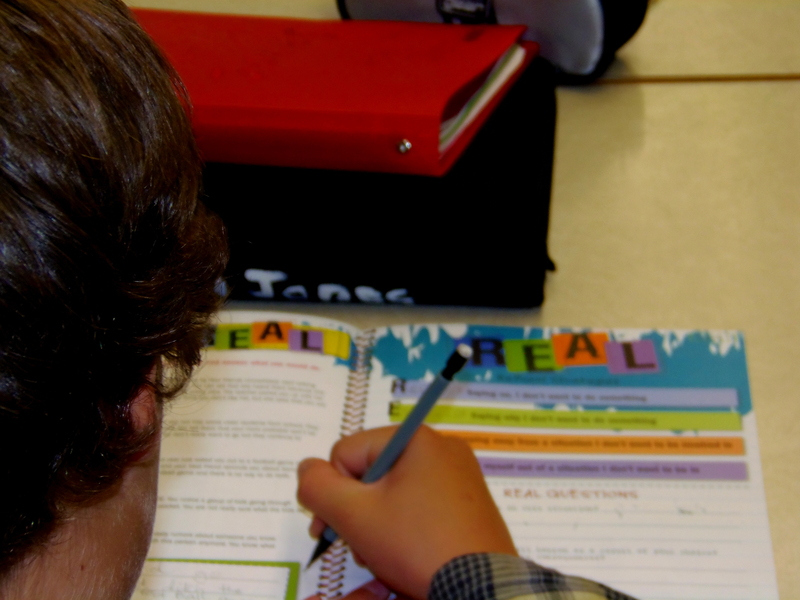 REAL stands for the resistance strategies – Refuse, Explain, Avoid and Leave – that teens can use to negotiate drug offers. These strategies are based on the narrative stories from thousands of adolescents describing the teen world in their own words, especially their experiences with offers of alcohol, cigarettes, marijuana, and other drugs. Drug Abuse Resistance Education (D.A.R.E.) – DARE is currently targeting grade six students and is designed to help students to deal with social and personal pressure, how to identify good friends and how to seek assistance when faced with negative situations. The program is designed to give students the confidence and courage that they will need to resist and overcome peer pressure from not only drug use, but also criminal activity.